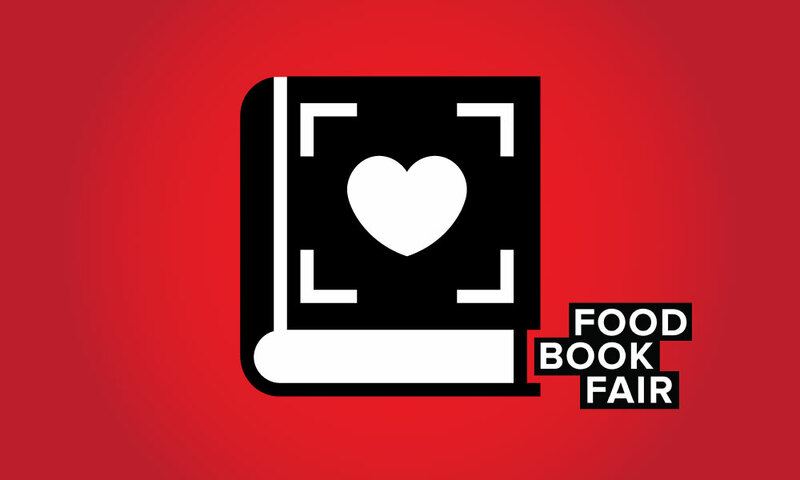 We love everything about the Food Book Fair. It makes it virtually impossible to capture the tasty in a paragraph. That’s why each year we choose one break out component and chew on that. This year, Literary Speed Dating. Description unnecessary but since you asked, the 90’s speed dating phenom mashed up with a mix of heavy hitting literary agents. We’re talking editors and publishers from Phaidon, Clarkson Potter, Abrams Books and ICM Partners++. Attention artists, There’s even an illustration publisher at the table. Mix it with a couple dozen authors-to-be and you might just have a cake. No not really, but a book on cake for sure. It should go without saying, seats are limited. If you want in on the book Bumble grab a spot fast. See you in the Dewey Decimal Catalog. What? They stopped using that you say? Friday, May 12th from 2 – 4pm in NYC. If you’re thinking about a life in the blue hot food industry, which now means a lot more than chef or waitress, Saturday’s Brainfood is for you. 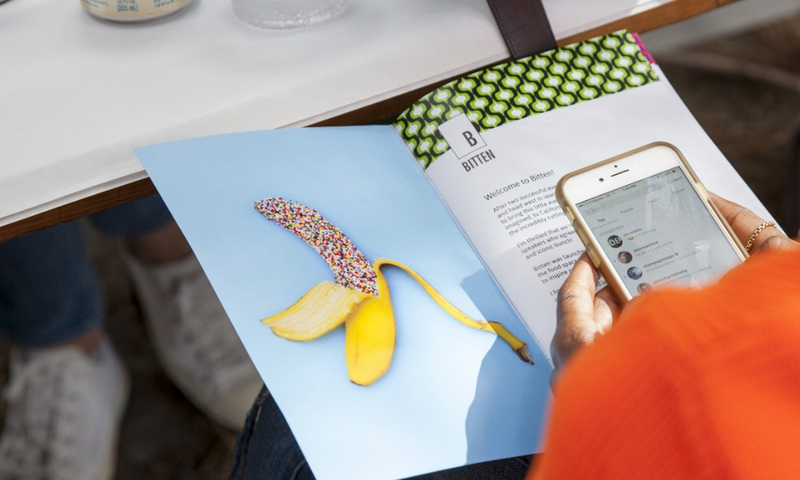 Topics include Food Marketing(a biased favorite), How Social Media Changed the Way we Eat, The Food Entrepreneurship Hustle, How to Make a Job For Yourself in Food and a full afternoon of cleverly named sessions. 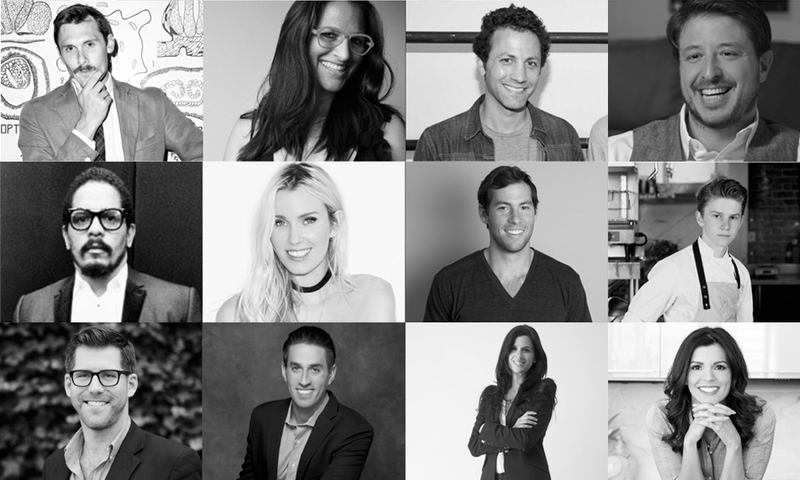 The speaker line up is just as rich with representation from Plated, Munchies, Edible, and of course, the organizers, Spoon University.The whole thing closes with an unfiltered session with the iconic founder of Barbuto, Jonathan Waxman in a session aptly named Restaurant Life. Saturday, July 16 from 10AM to 5PM in NYC. This weekend is a little like Christmas week when we were five years old. 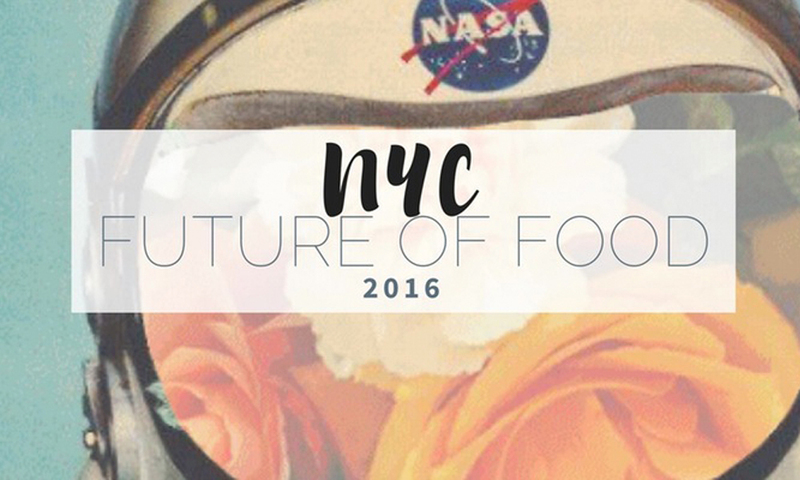 The anticipation of thousands of specialty food vendors coming to New York for the Fancy Food Show makes our mouths salivate and eyes widen. The tasting bites always reveal hidden gems but equally exciting is checking out the unique packaging design. We geek out like that. 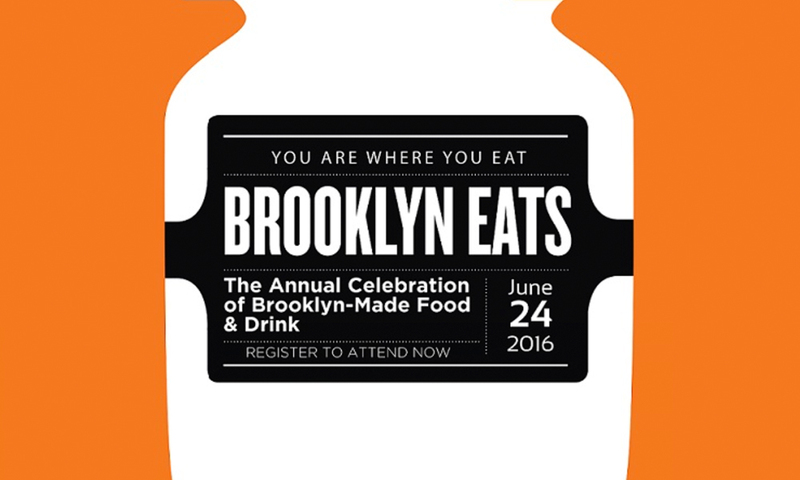 The Brooklyn Eats Trade Show smartly piggy backs on the Fancy Food Shows massive attendee list. It a more manageable show than the massive Javits Center for sure. This year we’re looking forward to checking out some of our favorite artisans and their new edibles. Morris Kitchen has some lemon preserve syrup we’re jonesing for. Pazzi Pasta might be making a play on Sfoglini. And, of course, we love popping in on our old friends like Dona Chai and Brooklyn Delhi. It’s well worth the $10 to get your Brooklyn Food on. June 24th from 10AM-4PM @Downtown Marriott in Brooklyn. Two of the best mouths in the business kick off this 3 day food mashup. Jose Andres and Gary Vaynerchuk drop science on the crowd discussing how the tech and food worlds are emulsifying. See what I did there? Follow that with a truly all sensory experience…or is it a dinner?…from IN THE MOUTH. They throw experimental food events. Three words we love on their own. Smashed together we’d kinda freaking out. There’s also some Google food awards and a talk by Audi, yes the car company. 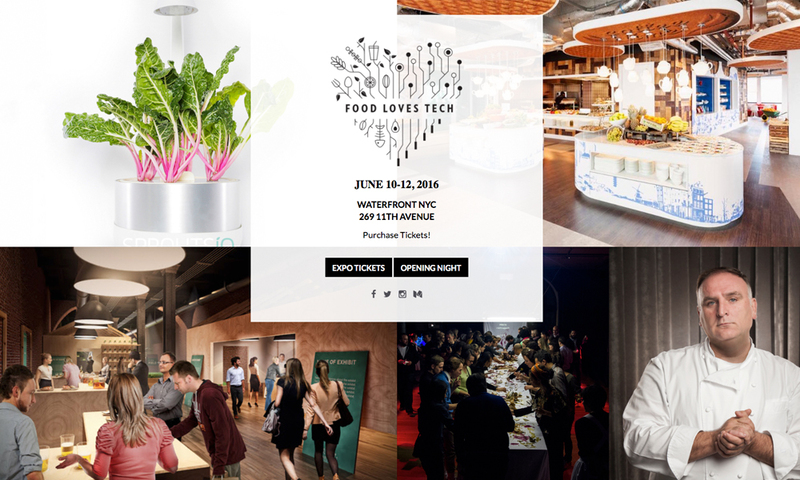 The Food loves Tech opening night event will probably sell out quick but if you can’t score a seat, you can check out the expo with a similar theme Saturday and Sunday. Not a bad consolation prize. Friday, June 10 from 6:00 PM to 11:30 PM in NYC. 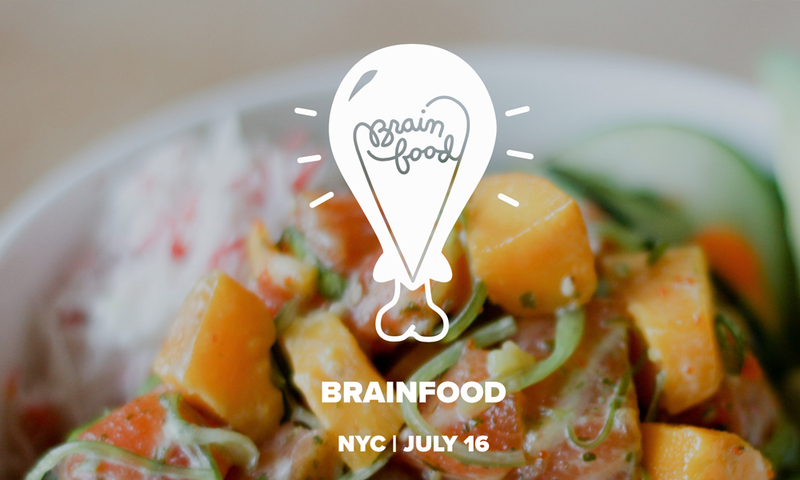 Next Saturday there is going to be a collection of some of the best, biggest and most innovative food brains in the country holding court in Manhattan. 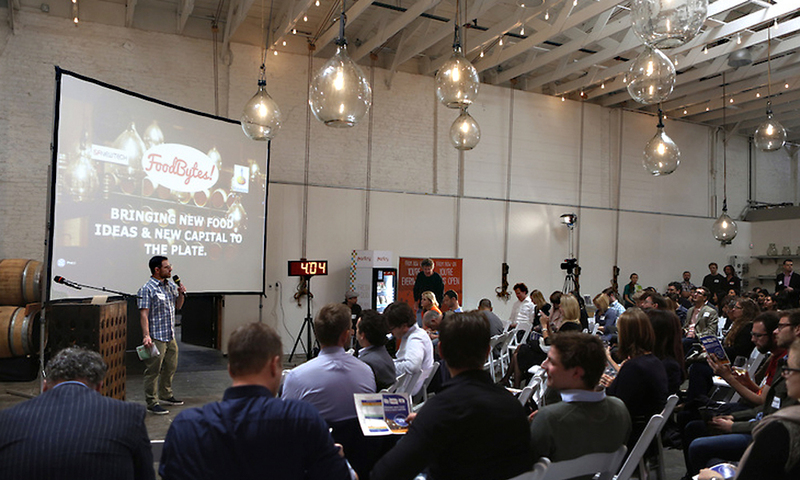 The Foundermade Food Conference has set quite the agenda covering topics from Marketing food products to Food Innovations to Changing The Way People Eat. Of course there will be plenty of time for Founder Stories and the networking nibble we all love so much. If you have any business in the business of food grab a seat and take a listen. Saturday, April 2nd from 10:00am – 6:00pm @ Spring Studios in NYC.